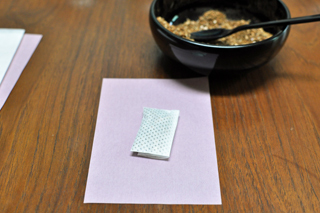 Have you heard of small folded packets of fragrant incense called fumikou? They are usually enclosed with letter paper in an envelope. 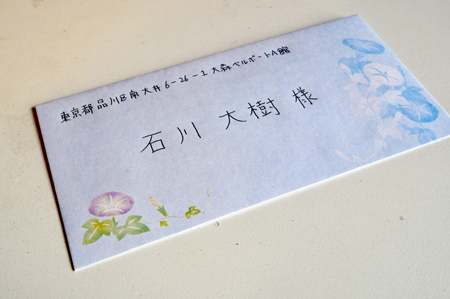 The person who receives the letter enjoys the beautiful aroma. 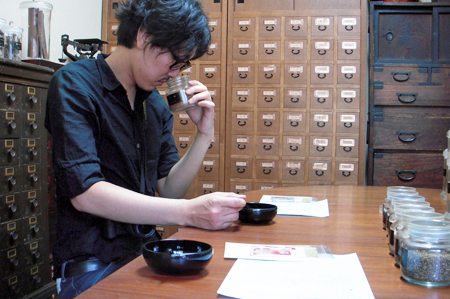 One blogger visited a long-established fragrance and incense shop in [W:Kyoto] called Yamadamatsu Koboku-Ten to make his original fumikou. 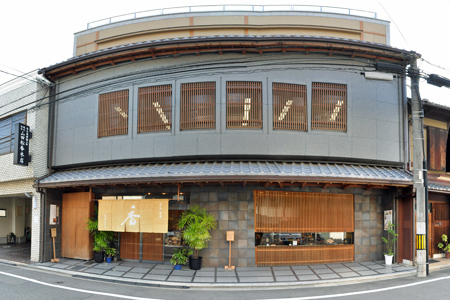 Yamadamatsu Koboku-Ten is a grand-looking shop in a quiet residential area. 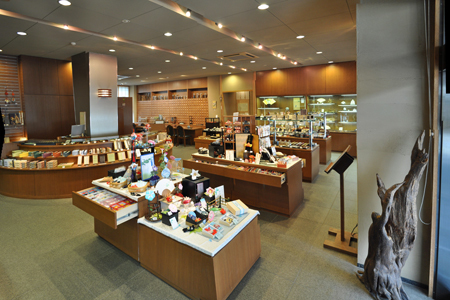 This shop holds some classes on how to make your own fragrant incense items. You should try it when you visit Kyoto! Inside of the shop. It looks neat, and must be very aromatic. One of fumikou they sell at the shop. 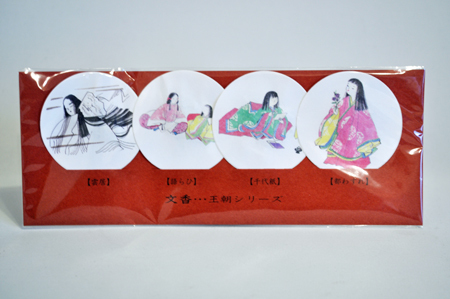 The image on this fumikou expresses “summer of Kyoto”. 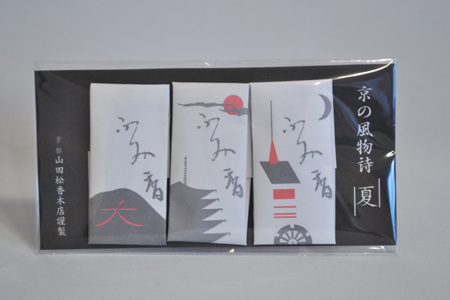 This is very pretty, and a very Kyoto-like item. Fumikou is used like this. How elegant! A preparation room. 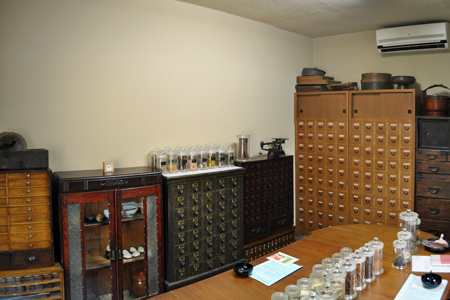 It looks like an herbal medicine pharmacy. These are all natural ingredients. The aromas range from spicy to sour, sweet to bitter to salty. Salty? It just sounds like a description of food. Can you imagine salty smell? 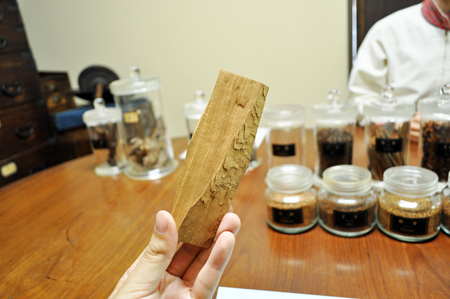 This is a piece of sandalwood tree. I like the scent of sandalwood! The first step is to create the base, mixing some ingredients following the instructor’s directions. This is the blogger attending the class. Now he is concocting his own aroma, adding some other ingredients. It seems very hard to choose the materials. 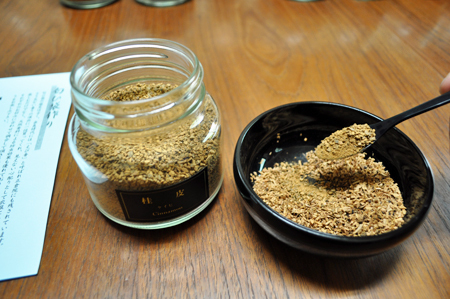 In his blog, he says “even if you blend some ingredients you really like, they don’t always create your new favorite aroma”. This is the fumikou he made. 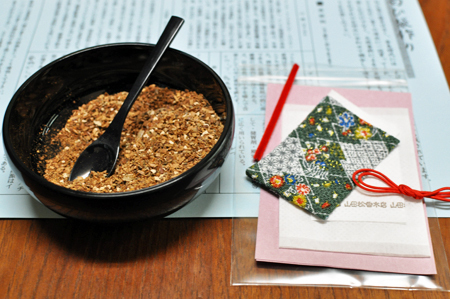 Just put some your fumiko into a small paper bag and fold it. 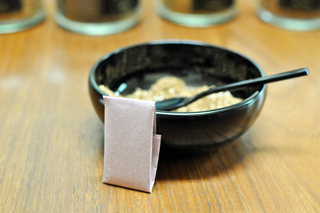 Fumikou also can be placed in your drawers, bags, or name card cases to make them smell extra good! asking him to try his original fumikou. 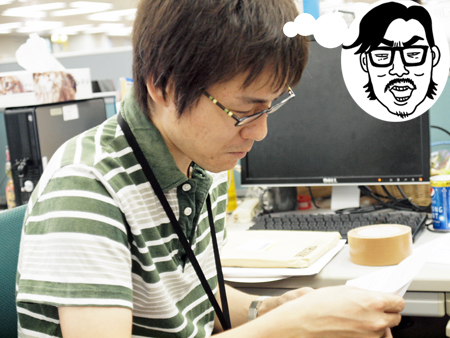 He also drew Mr.Ishikawa’s portrait on his fumikou. 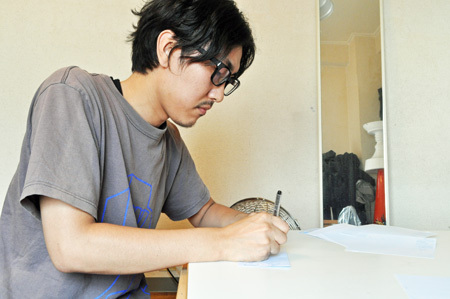 He poured his heart into his letter to Mr. Ishikawa. 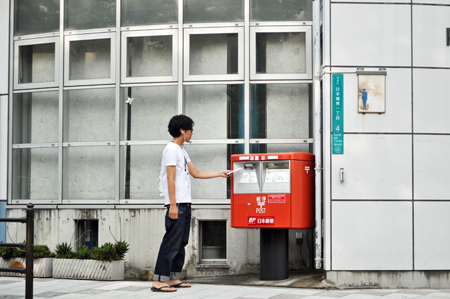 He is mailing his letter. I wonder if Mr.Ishikawa will really appreciate it. 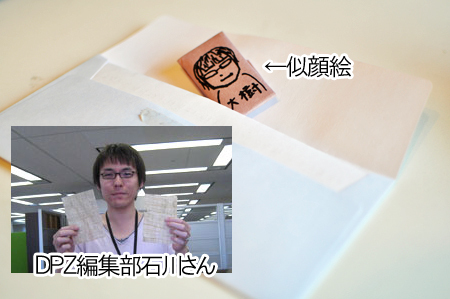 He has just received the letter and looks very happy! Now he is smelling the letter with a very serious face. 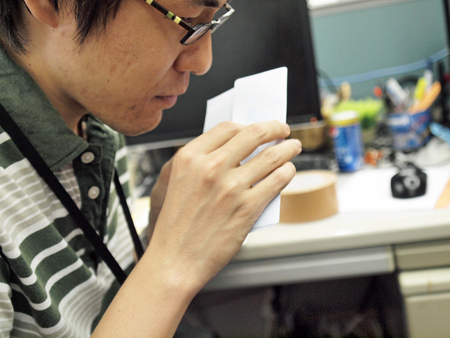 Do you like the scent that your coworker made, Mr. Ishikawa (^^)? These days, not many people write letters on paper because of the popularity of mobile phones and computers. 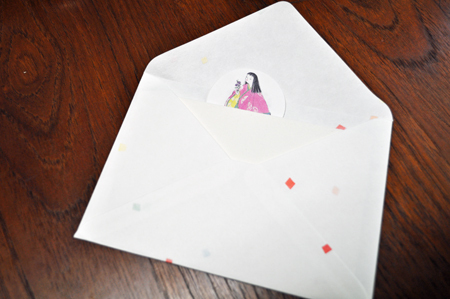 However, it may be a nice and thoughtful idea to write letters with fumikou to your family or friends sometime. I’m sure they will love it.